Prior to 2008, the term 'enterprise' had a legal definition – a natural person or company that produces goods or services with the aim of selling them. Decree No. 2008-1354 on the Modernisation of the Economy (Loi de modernisation de l’économie – LME) of December 2008 defines an 'enterprise' as 'the smallest combination of legal units that is an organisational unit producing goods or services, which benefits from a certain degree of autonomy in decision-making' (Council Regulation (EEC) No. 696/93 of 15 March 1993). Since 2008, an 'enterprise' has therefore been defined on the basis of economic, rather than legal, criteria. - Small and medium-sized enterprises (SMEs) employ fewer than 250 people and have a turnover of no more than €50 million or a balance sheet total of no more than €43 million. Micro-enterprises fall under the category of SMEs. - Intermediate-sized enterprises are companies that do not fall under the SME category, employ fewer than 5,000 people and have a turnover of no more than €1,500 million or a balance sheet total of no more than €2,000 million. - Large enterprises are companies that do not fall under any of the previous categories. Only legal units located in France have been included in this analysis. Consequently, in the case of multinational companies, only units based within French territory are taken into account when analysing their R&D activities and determining which category of enterprise they fall under. Manufacturing industries are categorised according to their technology intensity using a typology of activities set out in the second version of the French classification of activities (Nomenclature d'activités française – NAF). Four subsets are defined (OECD and Eurostat): high-technology, medium high-technology, medium low-technology and low-technology. In 2013, SMEs represented 17% of intramural business enterprise R&D expenditure (BERD), over half of which was invested in the service sector. Large enterprises, which accounted for 57% of BERD, focused three quarters of their R&D efforts in the high and medium-high technology industries. Total intramural expenditure on R&D (BERD) of enterprises with establishments in France amounted to €30.7 billion in 2013 (table 29.01). Large companies were responsible for the majority of this expenditure (57%), while intermediate-sized enterprises (entreprises de taille intermédiaire – ETI) accounted for one quarter. In comparison with their intramural expenditure on R&D, SMEs offered more jobs in this area: they accounted for 17% of BERD, with 23% of R&D personnel. In 2013, R&D accounted for 251,450 full-time equivalent (FTE) jobs in businesses, 64% of which were R&D research or engineering positions. The proportion of researchers and engineers in businesses' R&D workforces was slightly higher in all SMEs (66%) than in intermediate-sized enterprises and large enterprises (61% and 65% respectively) (chart 29.02). SMEs and intermediate-sized enterprises active in R&D exported more proportionally. Respectively, 30% and 34% of their turnover came from export, compared to 10% and 21% on average for all SMEs and ETIs (chart 29.03). The R&D work carried out by SMEs was largely devoted to the service sector: micro-enterprises invested three quarters and SMEs (excluding micro-enterprises) half of their GERD in this area (chart 29.04). Conversely, 44% of R&D expenditure by large enterprises went towards high and medium-high technology industries (pharmaceutical industry, manufacture of computer, electronic and optical products; manufacture of air and spacecraft) and 31% went to medium to high technology industries. Three-quarters of R&D expenditure by intermediate-sized enterprises was industrial, but less specialised. Direct public funding for R&D (excluding tax relief and measures to reduce social security contributions) in the form of public subsidies and government contracts rose to €2.7 billion in 2013. Large enterprises received 68% of this total (chart 29.05), intermediate-sized enterprises 11% and SMEs 21%. There was therefore less of a focus on direct funding for intermediate-sized enterprises in relation to their R&D expenditure. Extract from the chapter "29. research and development (R&D) in small and medium-sized enterprises (SMEs), intermediate-sized enterprises and large enterprises". SME GERD accounts for 17% of all business GERD. R&D extramural expenditure (DERD) by SMEs represents 10% of total DERD. SMEs receive 21% of all direct public funding to finance their R&D work. 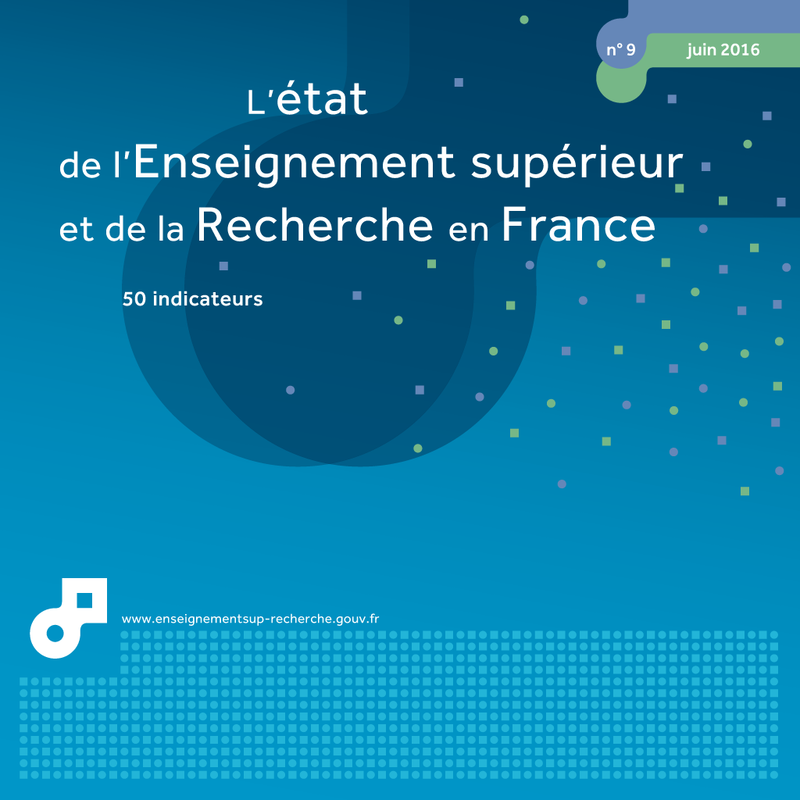 PME 2015 - Rapport sur l’évolution des PME est un ouvrage de référence qui rassemble de multiples données pour décrire l’activité de ces entreprises. La dégradation de la situation économique et financière des entreprises semble marquer une pause en 2014 pour les PME et les ETI, tandis que les microentreprises sont toujours à la peine. Les faibles perspectives de croissance en France et la forte proportion d’entreprises adressant le marché domestique fragilisent cette situation. Toutefois, les chefs d’entreprise qui font le choix de passer outre en créant leur propre activité, en innovant ou en exportant sont toujours plus nombreux, en particulier chez les PME et les microentreprises.